Join us tomorrow, Saturday, February 28, for a Shabbat morning service and Kiddush lunch! 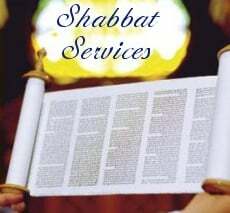 Enjoy a refreshing Shabbat morning service, sprinkled with beautiful Chassidic melodies, interesting insights into the prayers and a brief discussion on the weekly Torah portion. Followed by a delicious Kiddush lunch! To RSVP (optional): info@JBayArea.org or 713-398-2460. RSVP for Purim Dinner at the Hilton (this Thursday)! 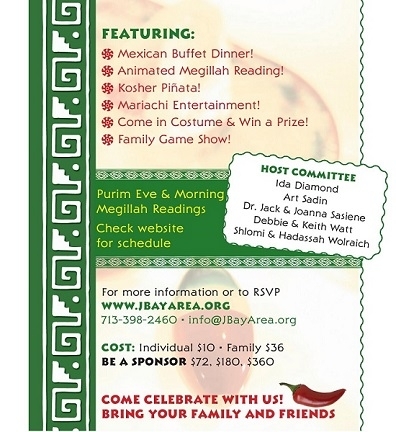 The Purim dinner is this Thursday -- If you have not yet reserved, please do so as soon as possible at www.JBayArea.org. 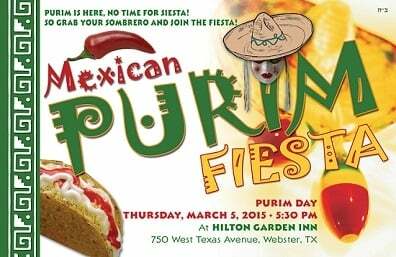 Our grand Purim dinner, 'Mexican Purim Fiesta,' will be held on PURIM DAY, Thursday, March 5, 5:30 pm at the Hilton Garden Inn at 750 W. Texas Ave in Webster. Young and old are invited to come out for a fun holiday evening featuring a delicious Mexican flavored dinner, an animated Megillah reading, a family game show, masquerading and more! Join our grand Purim Party: 'Mexican Purim Fiesta' to enjoy the Purim Feast in all its glory! Advance RSVP kindly requested: click here for more info or to reserve. 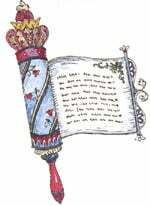 Tuesday Class: Purim - The Rest of the Story! Join us this Tuesday night for an inspiring Weekly Wisdom class! 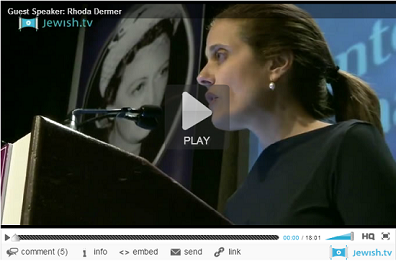 The story of Purim recounted in the Megillah, the biblical Book of Esther, is truly riveting. But did you know that there's a lot more to the story and its messages that never made it into the book, but instead was passed on orally and retold in the Talmud and other ancient works? In this class we will explore these classical Jewish sources to get the fascinating... Rest of the Story! RSVP for Purim Dinner at the Hilton! "Mexican Purim Fiesta" will feature a delicious Purim holiday dinner with mexican fare, a multi-media Megillah reading, a game show and lots of all-around fun for all ages! (A Purim Eve Megillah reading will be held as well, on Wednesday, March 4th, 6:30 pm at the rabbi's home). 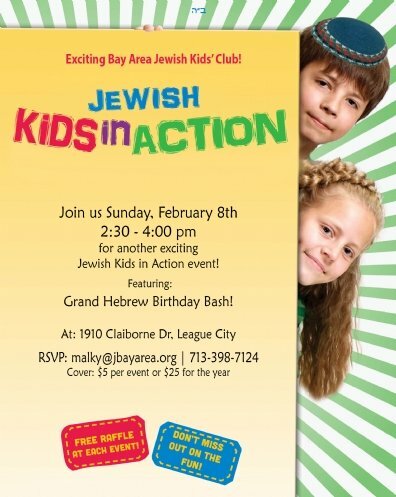 Kids, join us this Sunday, February 8th, 2:30 to 4:00 pm for another fun Jewish Kids in Action event! The theme will be "Grand Hebrew Birthday Bash!" where you'll get to learn about your Hebrew Birthday and have lots of birthday party style fun! This Tuesday - fascinating Weekly Wisdom class! Join us this Tuesday night for Weekly Wisdom! Important: different location for this week, see below. While the Shema (“Hear O Israel…”) is widely recognized as the most important prayer in all of Judaism, it contains much more than meets the eye. Please reply to this email (or email learn@jbayarea.org) for the street address. (Save the date: the next Weekly Wisdom will G-d Willing be held on Tuesday, February 24 at 8 pm).